Is PointsPrizes a Scam? Read 2 Reviews! If you’ve got some time on your hands, PointsPrizes.com is a site where you can earn points that can be converted to prizes and cash taking surveys, polls and watching videos. They don’t take any information except your email address and are more interested in your opinion and what you look at versus who you are. The only catch is most of it is for people who reside in the United States. PointsPrizes is a site where people can get paid for taking surveys, looking at video ads and playing free games. People collect points that can be converted to offers/prizes. There is a daily poll for 5 points. There are also coupons you can redeem for points plus referral bonus points. There is nowhere that actually says this is only for people in the US, they do say that their codes for prizes are mostly valid in there. If you try and claim a prize, their system will detect where you are and clarify whether you can claim it or not. If you are claiming from somewhere else internationally, prizes can be claimed through PayPal. Alternatively, they offer BitCoins. What Are the Prizes Offered by PointsPrizes.com? People can claim and use their points for prizes like iTunes, Amazon.com, NetFlicks and of course, cash out through PayPal, Stream or Bitcoins. There does seem to be some feedback that cash payments can take a little while. It takes 3,000 points to claim a $20 gift card or other prizes. 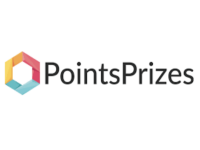 PrizePoints is owned by SAS POINTSPRIZES located in France. If you want to talk to them, there are a snail mail address and online form. They say they will respond within 1 business day. Getting your prizes is pretty simple. Simply click on the Claim Prizes tab. The timing of getting your prizes is different for each but you can monitor when it will arrive as they give you a maximum delivery date. Well, this is a first. Looking at the comments and feedback from players, it’s all good. The only negative complaints I could find about PointsPrizes.com are that it could take 2 to 3 weeks to receive your money. Oh, and that there were some glitches regarding earning points, though it sounds like it is more the advertiser and not actually PointsPrizes. Is PointsPrizes.com Scam or Legit? All in all, if you’ve got the time to take surveys, polls and watch videos, you could earn some money or prizes here. There does seem to be some question on the free games and what you actually can earn. Though the games are free – right! Remember, this site is primarily for people in the United States. For those people who have the time to take surveys, watch video ads, look at coupons and play games, then you can earn some prizes and money. This site gets a thumbs up though you aren’t going to walk away with mega millions. But, if you do have the time to participate, there are prizes and money to get. Thought this was a scam but I made 20$ in a week and successfully received them via PayPal. There are also different gift cards if you don’t have PayPal/Bitcoin wallet. You probably can’t earn a lot of money there but it’s nice to get paid just for playing games and completing surveys! For now on I haven’t got to the 3000 points already so I don’t know if I really will get a gift card, but I hope so. It is a great site for your first 500 points I should use coupon codes from the internet, and all the other points are just grinding. 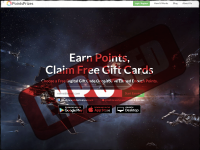 PointsPrizes is an excellent site to earn free gift cards and cash. I have been paid there many times!